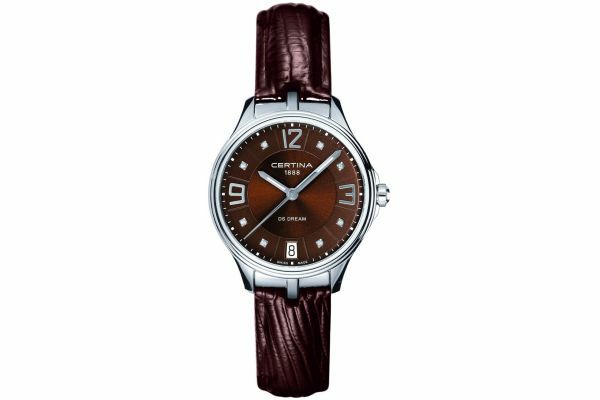 Ladies Certina DS Dream brown leather stainless steel classic watch with a round polished case. 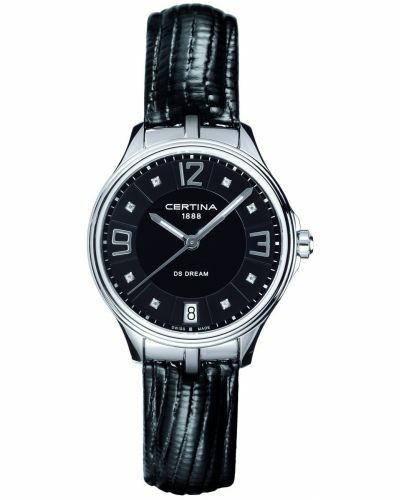 Has a brown sunray dial with diamond set indexes, polished silver hands and a date display window. 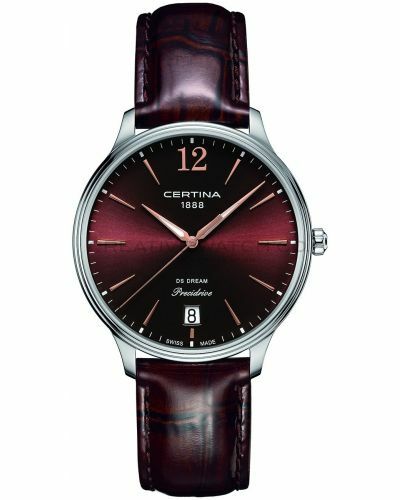 Features a high quality shiny brown leather strap. 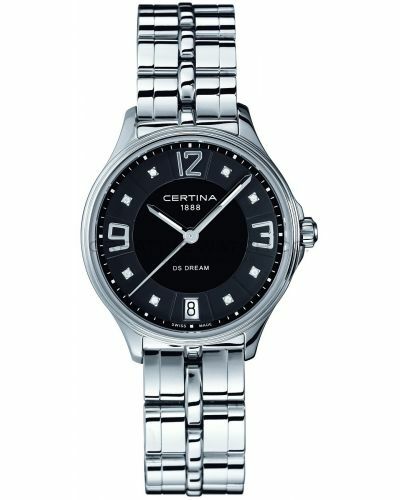 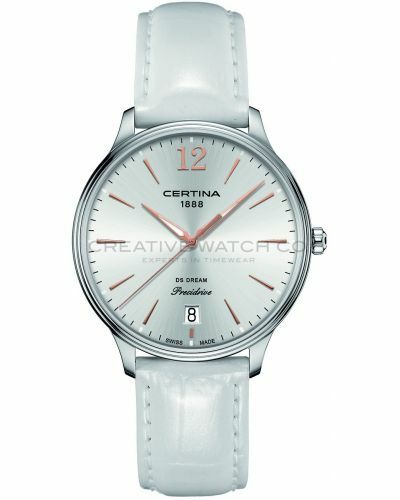 Powered by a quartz movement and comes with the Certina 2 year guarantee. 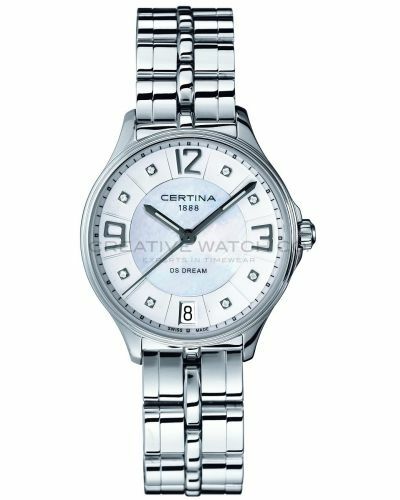 For us to size your new Certina DS Dream watch as accurately as possible, please take a look at our downloadable Watch Sizing Guide.